Nolan Roux had given the home side the lead in the Brittany sunshine, and only a combination of Gianluigi Buffon and VAR prevented Thomas Tuchel's side from being further behind at half-time. 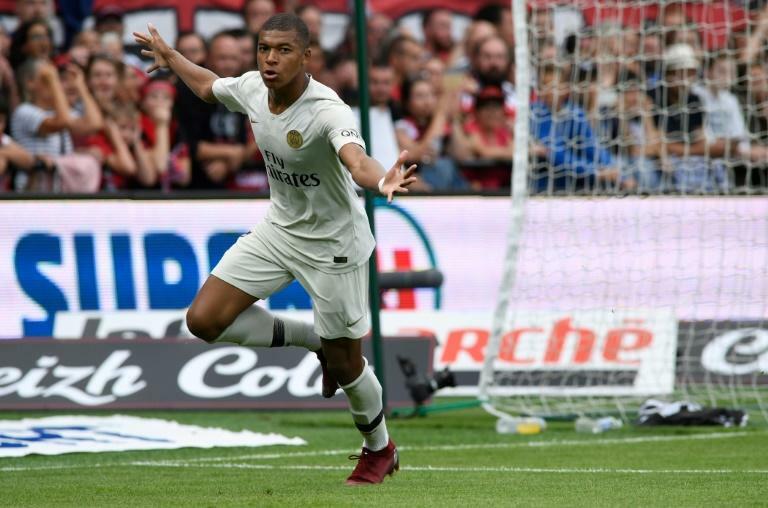 "I have very big objectives, so there is no time to loaf around," Mbappe told Canal Plus at the end of the game. "I brought something to the team but the whole side wanted to do better after a timid start to the match." It is now two wins from two in Ligue 1 this season for PSG under new coach Tuchel, after they swept aside Monaco 4-0 to win the campaign-opening Champions Trophy in China. "The situation is still difficult for us because the players are not on top form having arrived late after the World Cup," said Tuchel, who admitted his team had been fortunate not to be 3-0 down at half-time. Instead, Tuchel again put faith in youth, just as he had done in last week's 3-0 win over Caen. Timothy Weah, the 18-year-old son of the great George Weah, was rewarded for his goal-scoring exploits off the bench in that game with a start here. The goal came when Antoine Bernede's pass put his fellow teenager Colin Dagba in trouble -- the full-back got caught in two minds and Marcus Coco intervened to play in Roux for his first goal for the club. Paris were then grateful to the Video Assistant Referee for confirming on-field official Clement Turpin's decision to disallow a second Guingamp goal in the 25th minute. Coco went round Buffon to set up Nicolas Benezet, but he was adjudged to have fouled Dagba just before heading in. 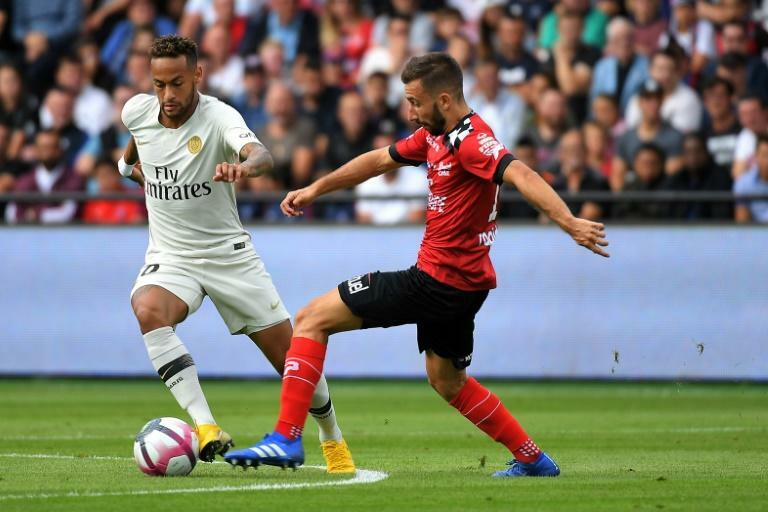 And he made sure of the points at the death with a delightful dink over Guingamp's Swedish goalkeeper Karl-Johan Johnsson, with Neymar this time providing the assist. That goal even drew applause from the Guingamp fans, mindful of the youngster's role in France's glorious campaign in Russia. Monaco are at home to Lille in the pick of Saturday's late games, while Lyon suffered a 1-0 defeat at newly-promoted Reims on Friday.